With valley views as far as the eye can see, Govetts Leap is one of my favourite places to catch a sunset… and over the last little while I’ve seen all sorts of sunsets from this spot from bright rays of lights to gentle pastels and a few good dark and stormy moments too. On this day, after spending an afternoon hiking the Cliff Top and Grand Canyon tracks, the sky show offered up a burst of hot pink before fading into darkness. 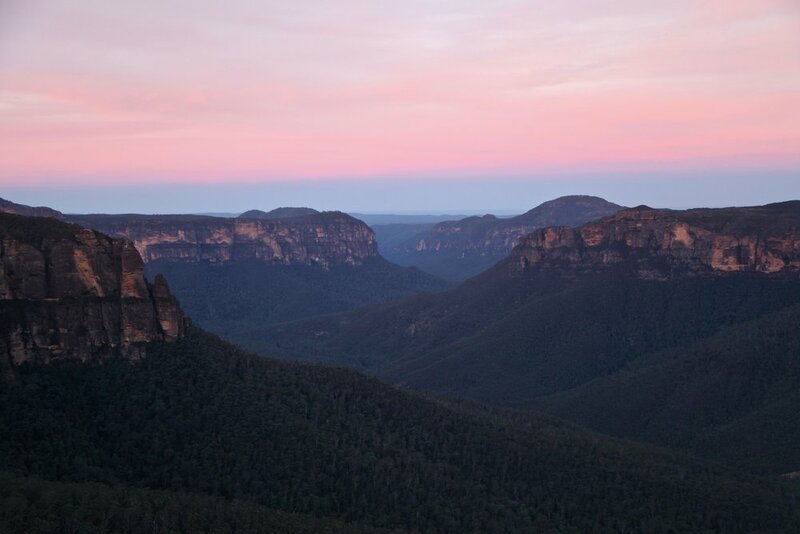 Sunset at Govetts Leap in the Blue Mountains.